1840s: Necklines were either wide and horizontal or narrow and very deep with a sheer white chemisette. The late 1840s saw the introduction of the cadet style bodice and the Jenny Lind collar. 1850s: Collars of whitework, lace, crochet, or tatting were wider than in the 1840s, reflecting the more open neckline. They were laid flat and did not meet at the throat. 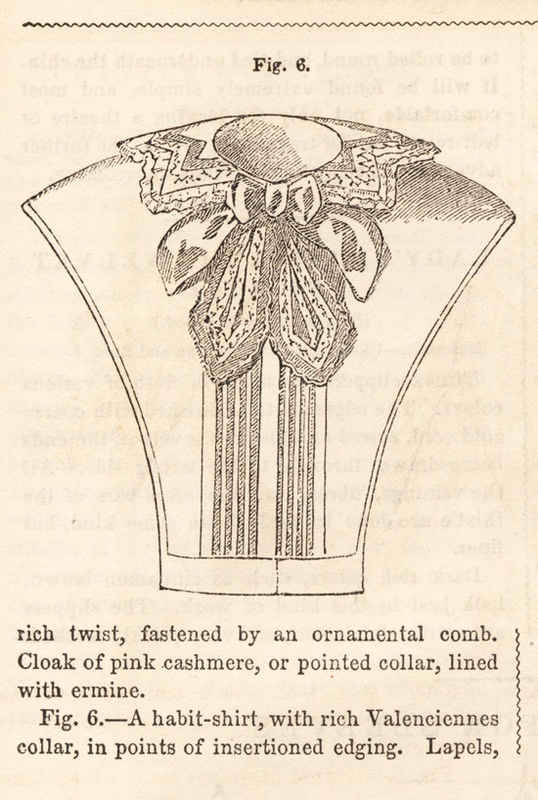 The Jenny Lind collar remained popular. 1860s: The 1860s collar was smaller than those of the previous decade. 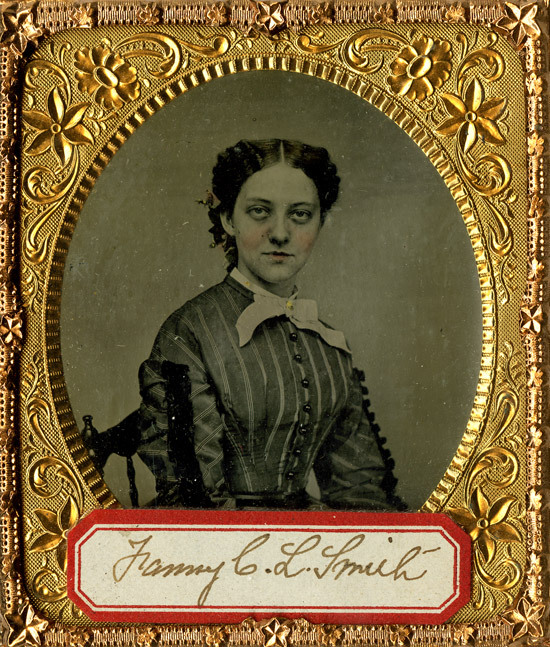 Maria L. Smiley wearing a Jenny Lind collar. 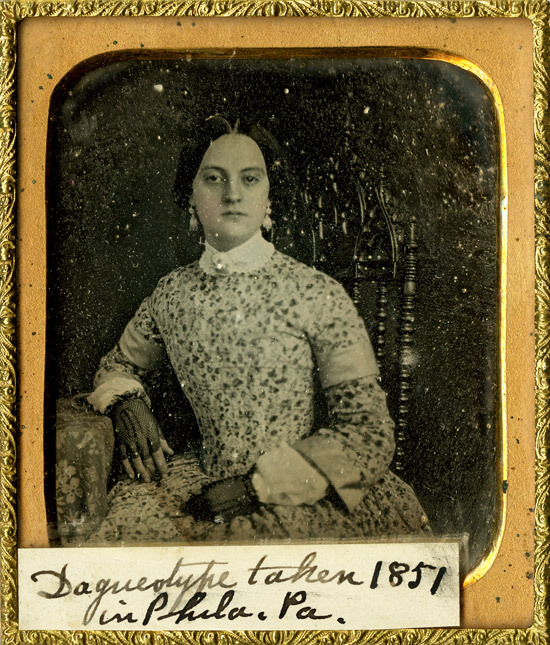 Enlarged reproduction of a 1/6 plate daguerreotype, 1851. Maggie Hunter wearing a chemisette. 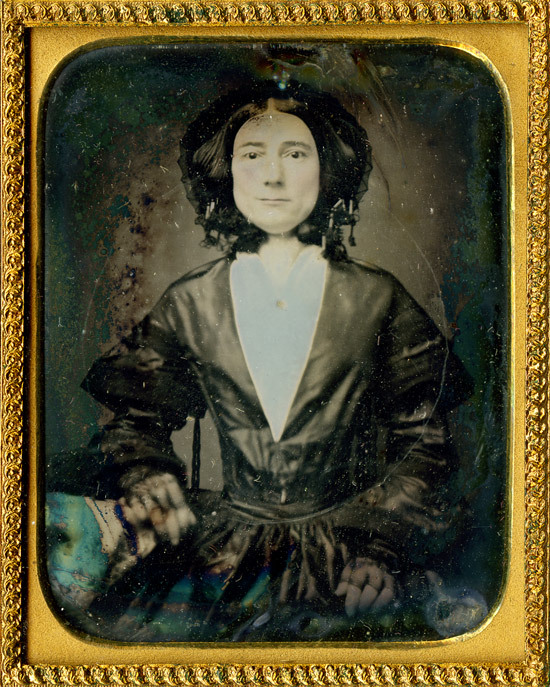 Enlarged reproduction of a 1/9 plate daguerreotype, circa 1852. Woman wearing a habit front dress. 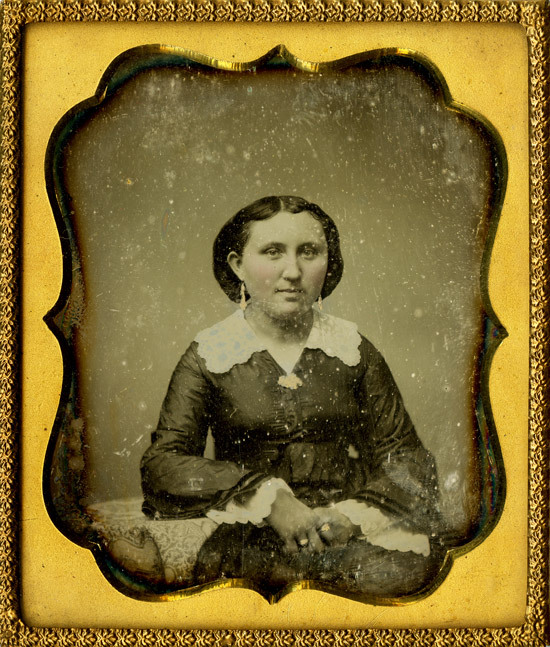 Enlarged reproduction of a 1/2 plate daguerreotype, circa 1853. Illustration of a habit shirt. Reproduction of a portion of page 547 of Godey's Lady's Book, Vol. 53, 1856. Woman wearing a wide lace collar. 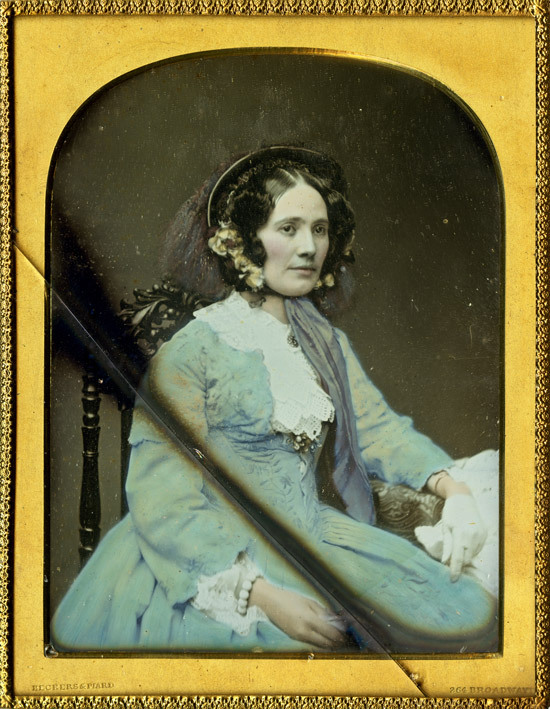 Enlarged reproduction of a 1/6 plate daguerreotype, circa 1859. Fanny C. L. Smith wearing a small collar. Enlarged reproduction of a 1/6 plate tintype, circa 1860.